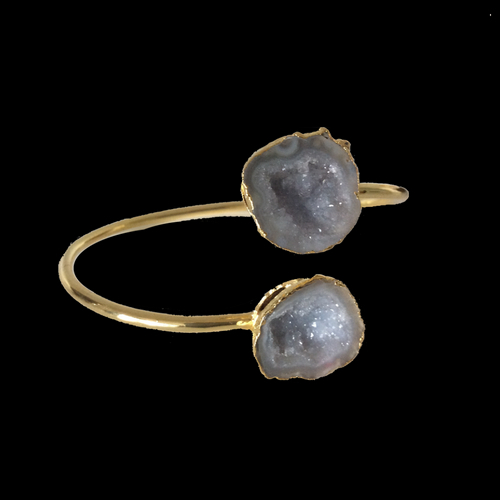 Designed on a US barrier island with one-of-a-kind agate druzy geode gemstone slices and adjustable gold bangle. Inspired by the glittering waters of Lake Como in Italy. The LAKE COMO AGATE GEODE BANGLE BRACELET has a peculiar design about it. They are fashionable, to say the least, and comes with a simple and unique design. 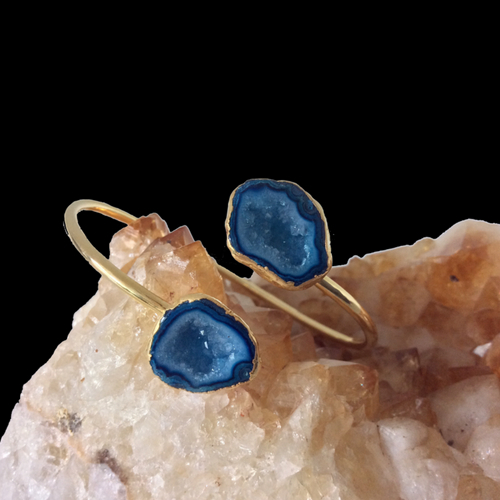 The LAKE COMO AGATE GEODE BANGLE BRACELETS are designed on a US barrier island with one-of-a-kind agate druzy geode gemstone slices and adjustable gold bangle. They are inspired by the glittering waters of Lake Como in Italy and are as well beautiful as the lake. They are perfect for every other occasion, like a day off at the beach or a timeout at a party. They are lightweight and will leave a smooth effect on the wrists. They are also perfect gift items for your loved ones. The agate geode comes with three color options which include Grey, Blue, Brown. 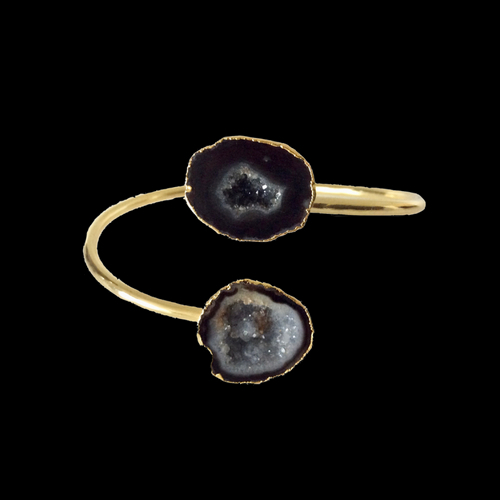 Adjustable gold bangle: The bangle on the LAKE COMO AGATE GEODE BANGLE BRACELET are adjustable to fit whatever size is ideal for you or any other person. They come in 14k gold and are brighter than anything you know and will leave you all dipped in class and sophistication. Agate geode: The LAKE COMO AGATE GEODE BANGLE BRACELET comes attached with agate geodes which will surely leave your wrists shiny and beautiful. Beautiful and trendy design: The design of the LAKE COMO AGATE GEODE BANGLE BRACELET is particularly a great sight to behold especially with the trendy adjustable gold chain designed in the shape of a semicircle. Strong and durable: They are strong and will definitely be around your wardrobe for a very long time. All those precious stones won’t be washing off anytime soon. 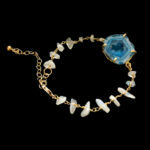 Perfect gift idea: You can always get the LAKE COMO AGATE GEODE BANGLE BRACELET for someone special to you. You sure, will them, to look their best on a trip to the beach or to anywhere else.